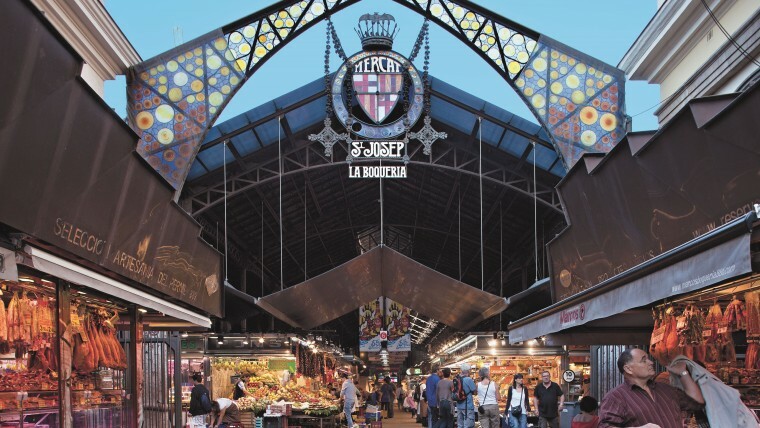 The Mercat de Sant Josep, or La Boqueria, is Barcelona's most iconic market. La Boqueria, with nearly eight centuries of history, continues to be a vital organ for Barcelona and has gained fame all over the world. At the start of the 12th century, just in front of where the present day market stands, farmers and traders were already setting up temporary stalls and selling products to passers-by as they entered or left the city. You can find everything at the market: fruit and vegetables, fish and seafood, meat, preserves, pulses, cheese and so on. There is local produce and imported food, Catalan specialities as well as world cuisine, both traditional and contemporary. Cultural and gastronomic activities are also held there, including courses, workshops, tasting sessions and meetings.